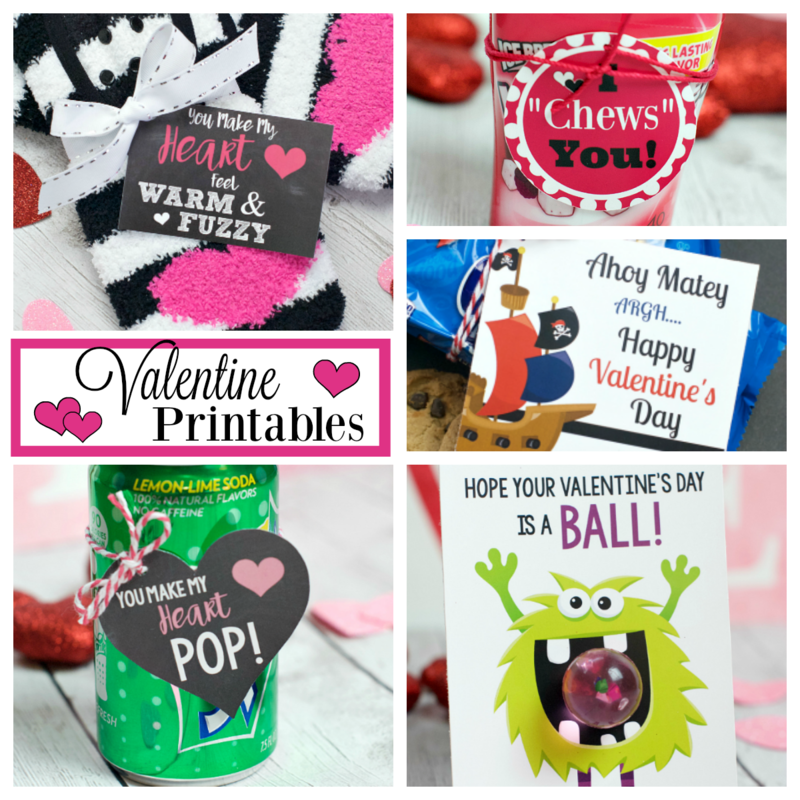 A Peek at the Fun: These simple and fun ways to make Valentine’s Day special for your spouse are easy to pull off and are sure to bring a smile to the one you love! Pick one or pick them all-just do something sweet for your love! If you think back to when you were first married (or maybe you’re still a newly-wed and this is your current life), you probably did sweet things for your husband (or wife) all the time. Writing sweet notes to each other, planning fun date nights, buying flowers or bringing each other gifts. It was all love all the time. And then time passed or kids happened or life got busy and while you still love your spouse just as much (or more) than you did back then, you sometimes forget to do the little things to show love to each other. So when Valentine’s Day rolls around it’s your big chance to let him (or her) know you are still in love! And it doesn’t have to be hard! 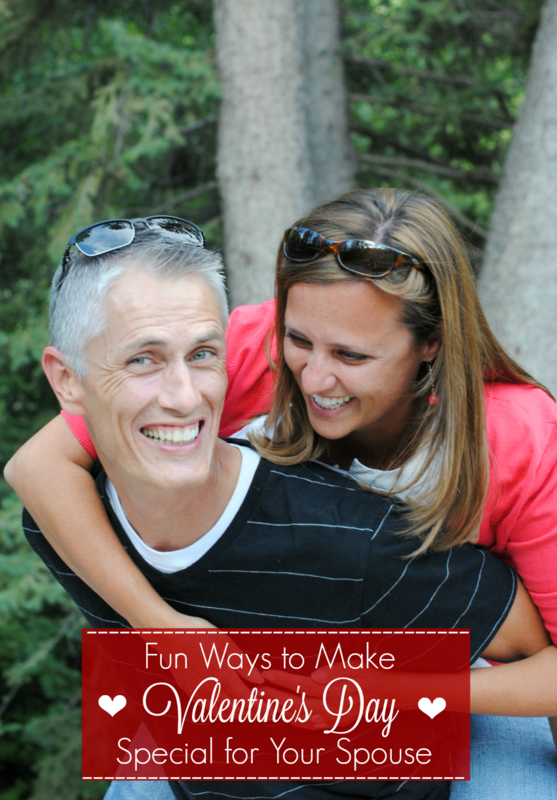 Here are some simple and fun ways to make Valentine’s Day special for your spouse! Although in truth, you could do these anytime! How sweet would that be? But for now, let’s at least do something nice for our husbands or wives for Valentine’s Day! Some of these might seem cheesy to you or not like something you think your husband or wife would love. That’s why you can pick and choose from these options to make Valentine’s Day special. Do what works for you and tweak as needed! You Are One of My Favorite Peeps! 2. Make a romantic dinner and dessert for two. No need to go out and fight the crowds! Then light some candles and enjoy a cozy meal at home! Or get takeout for dinner and make an easy dessert! Either way, this will be special. 3. Surprise your spouse by doing some task that they hate! Grab his car (more fun if you can secretly do it while he’s at work) and take it and get it washed and vacuumed. Then leave a sweet note in it. Or do the grocery shopping for her and put it all away-again, the perfect opportunity to hide a note with the put-away groceries. Choose what you think your spouse will love best. It doesn’t even have to be something major-just something sweet to show your love! 4. Suprise your love with a picnic lunch. Yes, we realize it’s winter, so this doesn’t have to be an outside picnic. Grab lunch to go from your favorite restaurant and surprise her at work or meet somewhere you can eat it together. If you can you might even want to spread out a blanket and eat on the floor-just like a real picnic! 5. Put together all things red-red notebooks, candy, socks, jewelry, a tie, lotion, anything red! 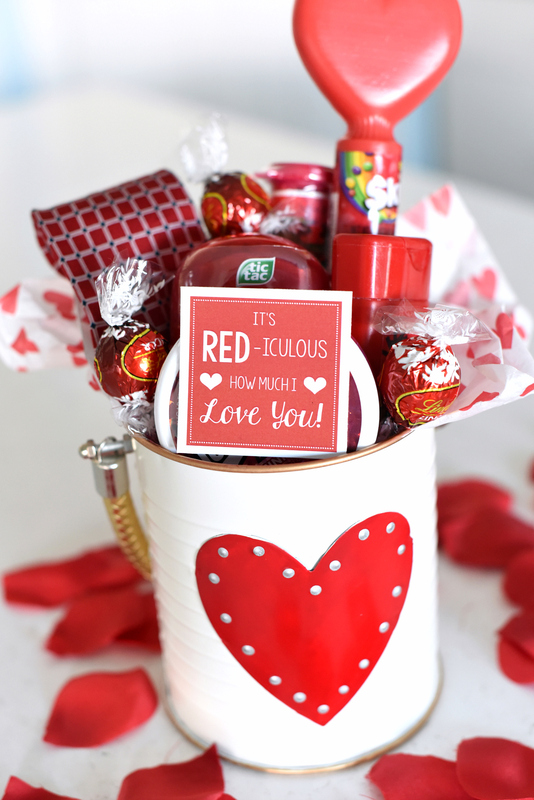 Package it all up in a cute red basket and add a fun “It’s RED-iculous How Much I Love You” tag! So cute, so simple and so fun! 6. 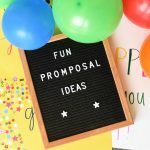 Play the newlywed game together! Whether you are newlyweds or not, this game is fun! You can grab some friends and play with a group or you can play with just the two of you! All you need to do for this is print the questions and play! This is another great chance to eat dnner or dessert while you play! 7. What everyone really wants for Valentine’s Day is chocolate, right?! 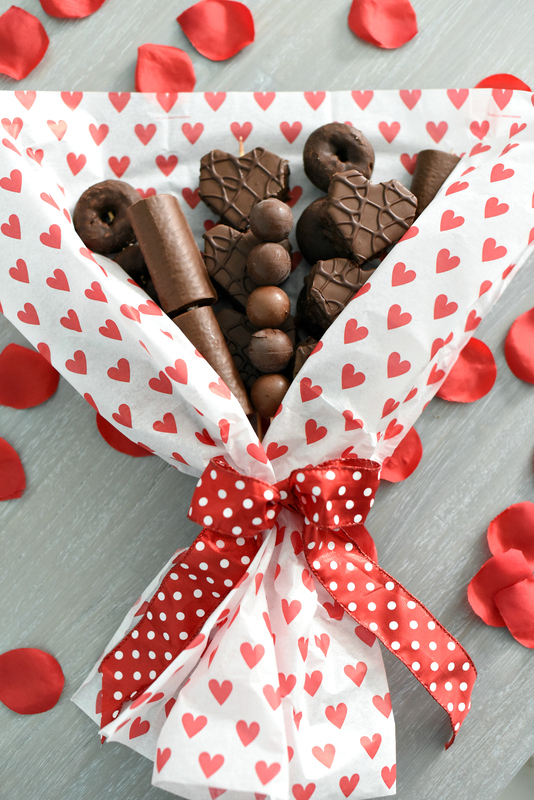 Don’t bring her flowers-instead try a chocolate bouquet! She’ll be swooning. (Or if she’s more into donuts you could try a donut bouquet!) 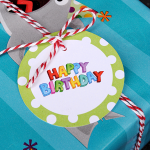 You can make this yourself and include whatever you think she will like best! 8. Cut up some strips of paper or little hearts. On each one write one thing you love about your spouse. These can be sweet and simple-just little reminders of why you fell in love. These can be great to leave around the house or all over the car. Somewhere they will easily be found. 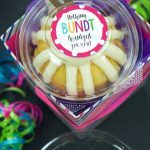 Or, make a cute little container and then fill it with Hugs and Kisses or Valentine’s candy and add all the little notes. 9. Making Valentine’s Day special can be as simple as a nice handwritten card-or a poem if you are really creative! These are things that can be saved and treasured for years to come. Just write some things you love or things that you want your spouse to know about how much you appreciate her. 10. Along the lines of a note, a fun twist on this could be to cut it into pieces and make your spouse put it together like a puzzle. OR, write your note on the back of a puzzle and then he will have to put it together to read it. We hope you have a nice Valentine’s Day showing your love to your spouse! And that you enjoy the holiday. We’d love to hear your own traditions or things that you do to make Valentine’s Day special for your spouse! 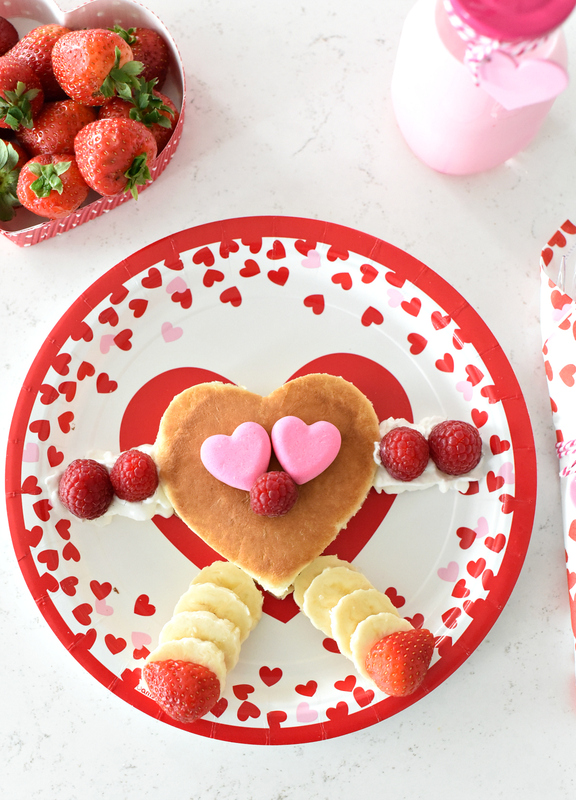 Have FUN celebrating Valentine’s Day with your loved ones!